Oronoque Village is a 55+ community located in Stratford, Connecticut. Built around the Oronoque Country Club, this community offers attached homes on a resale-only basis. Homeowners have plenty of amenities to choose from as there are two clubhouses for the exclusive use of residents. Located in the New Haven, CT area, Oronoque Village is conveniently surrounded by a myriad of opportunities for shopping, dining, and entertainment. Oronoque Village offers two clubhouses full of amenities aimed to keep residents socially and physically active. Both clubhouses offer fitness rooms that focus on keeping residents in shape with cardiovascular and weight-training equipment. Hobby and game rooms attract those looking for a more socially charged lifestyle, hosting numerous clubs and activities that meet on a regular basis. The auditoriums host community parties as well as plays, concerts, and cultural activities. The amenities continue outside with three outdoor pools, five tennis courts, a bocce ball court and miles of walking and biking trails. Residents of Oronoque Village also enjoy social memberships to the Oronoque Country Club. Here, they can dine at the clubhouse restaurant, work out in the fitness room, or enjoy the company of other members during one of the club parties. Golf memberships are available at an additional cost for those looking to play on the 18 holes that wind through the community. Built between 1971 and 1977, Oronoque Village consists of 929 attached homes available on a resale-only basis. These attached residences are offered in townhome-style buildings with two to three units per building. Most homes in the community offer one bedroom plus a den, one bathroom, and an attached one-car garage. Homeowners love these models for their open floor plans and low-maintenance exteriors. Some of the great features included in these models are attached decks, fireplaces, and eat-in kitchens. Many homes have a den which can be utilized as a home office or entertainment room. Residents of Oronoque Village enjoy a great low-maintenance lifestyle. An annual homeowners' association fee covers general maintenance of the community grounds and amenities as well as lawn and snow care of each home in the community. This lifestyle allows residents more time to enjoy old hobbies and explore new ones with family and friends. Neighbors and friends often get together for any one of the numerous clubs offered in the community such as book club, card clubs, yoga, zumba, billiards, or gardening club. There are plenty of clubs to fit the lifestyle of all residents. Located in Stratford, Connecticut, Oronoque Village is conveniently located just outside of New Haven. Recreation and entertainment surround the community offering great opportunities for residents. During the summer months residents enjoy a close proximity to the coastal beaches of Connecticut just a few miles south of the community. During the winter months there are several options for downhill and cross country skiing. Situated by Merrit Parkway and I-95 travel to other parts of Connecticut and surrounding states such as New York, Rhode Island, and Pennsylvania is a breeze. 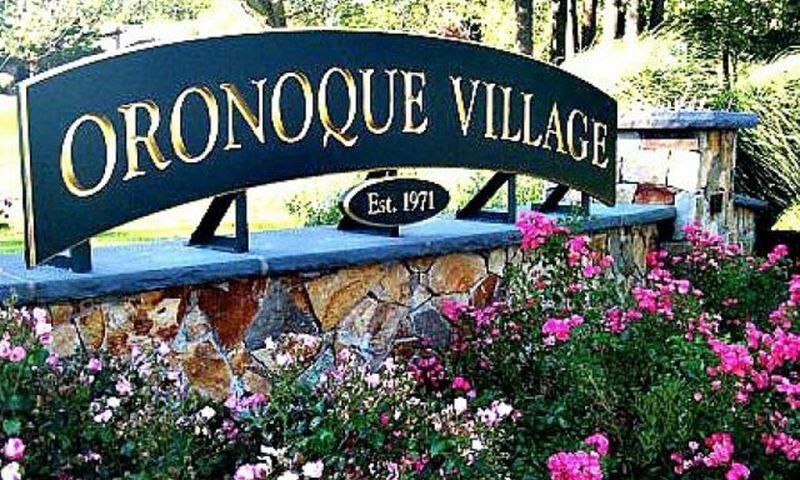 Well-built homes along with great amenities in a convenient location makes Oronoque Village a great 55+ community for active adults in the Northeast. The North Clubhouse is the larger of the two clubhouses in Oronoque Village. The South Clubhouse offers additional amenities to residents of Oronoque Village. Residents of Oronoque Village enjoy a social membership to Oronoque Country Club. Golf memberships are available at an additional fee. There are plenty of activities available in Oronoque Village. Here is a sample of some of the clubs, activities and classes offered here. Most homes in the community offer one bedroom plus a den, one bathroom, and an attached one-car garage. Homeowners love these models for their open floor plans and low-maintenance exteriors. Some of the great features included in these models are attached decks, fireplaces, and eat-in kitchens. Many homes have a den which can be utilized as a home office or entertainment room. 55places.com is not affiliated with the developer(s) or homeowners association of Oronoque Village. The information you submit is distributed to a 55places.com Partner Agent, who is a licensed real estate agent. The information regarding Oronoque Village has not been verified or approved by the developer or homeowners association. Please verify all information prior to purchasing. 55places.com is not responsible for any errors regarding the information displayed on this website.